Wylie Hall’s sire is on fire! Cheveley Stud’s multiple G1 winning sire Wylie Hall is a son of the world’s hottest sires. 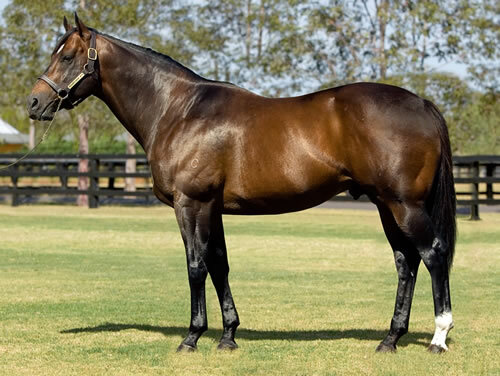 His triple Australian champion sire Redoute’s Choice enjoyed a truly magnificent weekend, with both his sons and daughters firing on all cylinders. Redoute’s Choice, whose previous stars include the likes of five time G1 winners Miss Finland and Lankan Rupee, looks to have come up with a true champion in the form of 3yo colt The Autumn Sun. 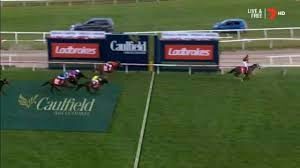 The latter made it win number five from just six starts when romping home to a clear cut four and a half length win in the AUS$2 million G1 Caulfield Guineas on Saturday to stamp himself the best 3yo colt in Australia. In the process, the lightly raced The Autumn Sun collected a third G1 win of his career. The Autumn Sun, who may take on stable mate Winx in the 2018 G1 Cox Plate, had previously captured the G1 BRC T.J. Smith Stakes at two, before capturing the G1 Golden Rose prior to his Guineas triumph. The Autumn Sun, a colt who bears a striking physical resemblance to Wylie Hall, has now earned over AUS $2.3 million in stakes (from six outings!). He is out of Galileo matron Azmiya. 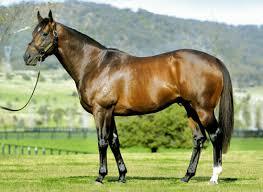 Redoute’s Choice is also sire of reigning Australian champion sire Snitzel, whose son Redzel captured the $6 million first prize when landing AUS $13 000 000 The Everest at Randwick on Saturday. Redzel, second leading money earner in Australia behind only Winx, was winning The Everest for a second year in a row and has now banked more than AUS$15 000 000 in prize money. Another son, Stratum, is sire of Saturday’s G1 Toorak Handicap hero Land Of Plenty, while brilliant Redoute’s Choice’s son Not A Single Doubt was responsible for Saturday’s G3 winner Winter Bride. Himself an increasingly successful broodmare sire Redoute’s Choice is broodmare sire of Saturday’s 1000 Guineas winner Amphitrite. First past the post in the 2014 G1 Vodacom Durban July, Wylie Hall was an exceptional athlete whose other notable scores included wins in the 2015 G1 Champions Challenge and 2013 G1 SA Derby. A half-brother to star sprinter Absolute Champion, Wylie Hall won or placed in 15 of 21 outings and earned over R3 644 625. He has already made a splash with his first crop, with Wylie Hall responsible for a filly who made R650,000 at the National Yearling Sale and another who made R600 000 at the National Two Year Old Sale earlier this year. The son of Redoute’s Choice has a single lot on sale at the 2018 Emperors Palace Ready To Run Sale, but has seven members of his first crop on offer at the 2018 CTS Ready To Run Sale on November 23rd.